do you use a peer to peer program? I use this type of program, and for me Emule is the best, i can find some text of veichle dynamic very interesting! and some mp3 too:) what program you use? I use limewire for p2p....and i use torrents for those which cant be handled by limewire..
nice feature the download from torrent! i'll try it!! now i try ares! i don't know what is this and i want to learn about it! I hear/see this often but I don't know about it. What is peer to peer? Can you explain it in just a couple lines? Hmmm I still didn't try this emule program, is this free or not ? how about winmx or torrent ? many2 people use torrent right now, it said more efficient than the other p2p program ?, I my self never use it, since my internet connection block the torrent hearing port. The emule software is free, you can find it at this site: http://www.emule-project.net/home for me is very good, you can find anything, the only bad thing is the time for download a single file, sometimes you can wait lot of days for complete one download (like one movie for example). i don't know lime wire, i will try it! thanks!! 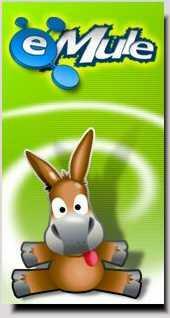 Yes, I used WinMx and now I use Emule. i am currently using limewire and bittorent. for my music and movies i prefer limewire as its much faster but if the file that im looking for is not available, then i will use bittorent. when searching for torrent, i would suggest that you use torrentscan. its much more convenient as it covers a lot of websites that provides torrents. http://torrentscan.com Cheers!